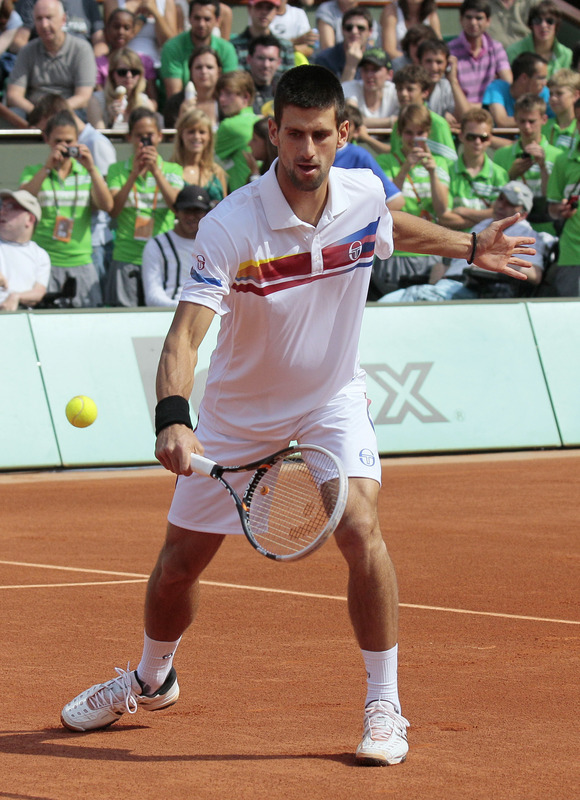 French Open quarterfinal picks, plus big news on the way! Hey all, hope all is well! So, I've been trying to write tennis stories everywhere I can, but then I remembered, "What about TTA?" Anyway, I usually make my picks from the round of 16 on for the Majors, but seeing as how the tournament's underway, I'm going to go back to the traditional way and just announce the quarterfinalists—at least who I think they will be! Let's start with the men, shall we? And that's not all: So my next post here will be a monumental one for TTA?, and I'm preparing something to mark the occasion. If you don't see me here for a few days, don't worry: I'm not going anywhere! See you for the big post! Bonjour, Y'all! It's Roland Garros Time! Roger Federer: What Would a Win at the 2011 French Open Mean for His Legacy? See you soon: Here, there and everywhere! 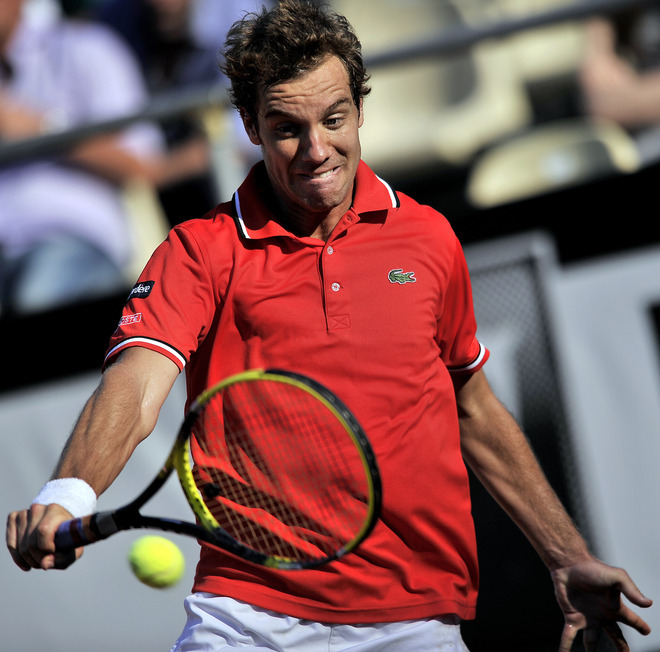 After (kind of) shaking up the tennis world with his win over Roger Federer, Richard Gasquet followed that up with a victory over Tomas Berdych today in the quarters at the Italian Open. 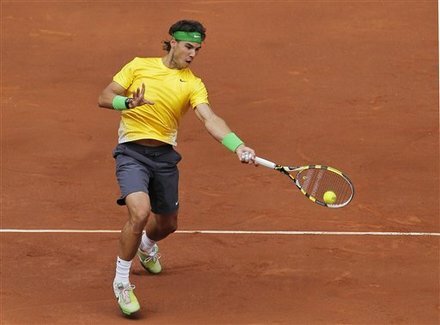 Next up, he's playing this guy named Rafael Nadal--a tough task to say the very least. I don't know what kind of chance the Frenchman has against the king of clay, but it's good to see him in position to battle him in the later rounds of a tournament. And who knows? Maybe he can really shake up the world this time. Gasquet's long been heralded as one of the game's most talented players, but motivation, injuries, drug-related controversies--what have you--have held him back. Hopefully, that's all behind him and he's ready to firmly establish himself in the top 10. Petra Kvitova's victory at the Madrid Open was an impressive one, not only for herself, but also for the WTA Tour. It's the second week in a row one of the less-heralded players captured one of the Tour's big events, following Julia Goerges' win in Stuttgart. Those two efforts show that the game is in a good spot right now as far as depth goes. It makes for more interesting viewing when you don't know who's going to win nearly every time out, something the women's game has experienced at times for decades. Hopefully, this current one can contribute to more growth as far as interest goes. So congrats to Kvitova on a great win—knocking off the hottest player on the planet, Victoria Azarenka—and joining the top 10 as well. I'm sure others such as Goerges will be nipping at your heels soon enough, which the WTA more than likely will appreciate! Why are we still captivated by the Federer-Nadal rivalry? Sorry folks: I have to ask! But I promise at the end of this I'll have an answer for you! One of the semifinals tomorrow features a dream matchup in most diehard--and even--casual tennis fans' minds: Roger Federer vs. Rafael Nadal. Those two have had some newsmaking battles in Madrid in the past with Federer notching only one of his two clay-court wins against Nadal back in the finals in '09 and Rafa turning the tables on him last year to capture the one major title on clay he had yet to win. But it almost seems like we're a long ways away from those days when those two were head and shoulders--and whole bodies even--above the rest. One of the big changes this year has been the play of Novak Djokovic this season who's beaten both of those guys multiple times in '11. Another is that for the first time since the Paleozoic era, Federer isn't a titleholder at a Slam, suggesting some kind of downturn--however slight--in his game. So why is it now when Rafa and Fed play, we're still all abuzz--even though in instances like this upcoming semi, there's a strong chance things could be bad for Federer? Despite how things may go in the rivalry over the years, I know I'll still tune in, happy to see two players going at it who have done so much for the game. You know, sometimes a player just feels comfortable against another. And sometimes, a player can be a little rusty and might fall to someone a bit unexpectedly--particularly when it's the opponent's best surface. But still, Andy Murray and Caroline Wozniacki going out in Madrid to Julia Goerges and Thomaz Belluci is a little shocking to me. Let's start with Wozniacki: You see, she's the number-one player in the world right now. Goerges is at up-and-coming status right now who is coming off a big tournament win in Stuttgart last week. A number one is supposed to win against an upstart coming off a big moment, particularly if there's a chance for revenge--Goerges upset Wozniacki in the finals at Stuttgart. I worry about Wozniacki's killer instinct so close to a Major, considering she hasn't captured one of the Big 4 before--which has been discussed ad infinitum. As for Murray: I know clay's not his best surface, plus he is just returning from injury. But it wasn't that long ago that it looked like that post-Aussie-Open slump was wiped out with a semifinal run in Monte Carlo. Belluci's a decent player, for sure, and is a threat to most of the top seeds. I think Murray missed a bit of an opportunity at a deep run here, which could've helped his confidence going into the French but more importantly, after then. So I have questions about the state of the games for two of the best active players yet to win a Slam. These mini-Madrid runs only enhanced those queries.